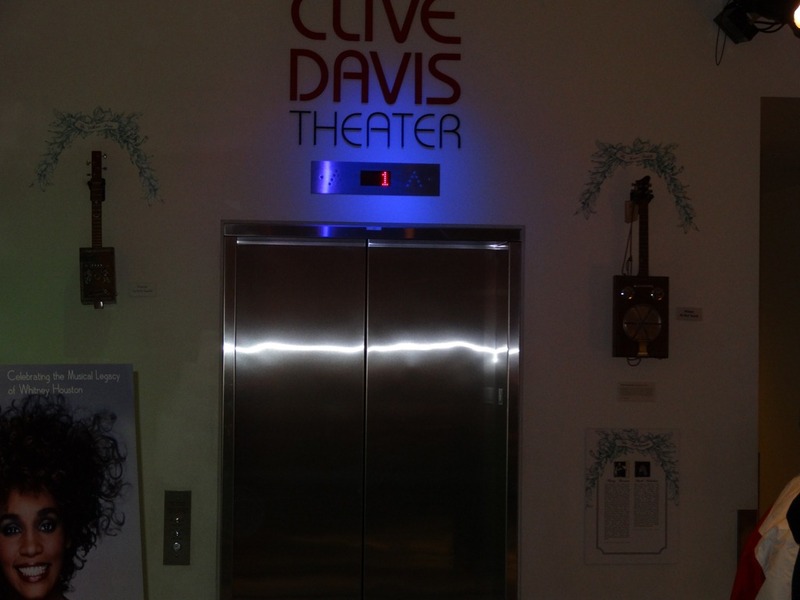 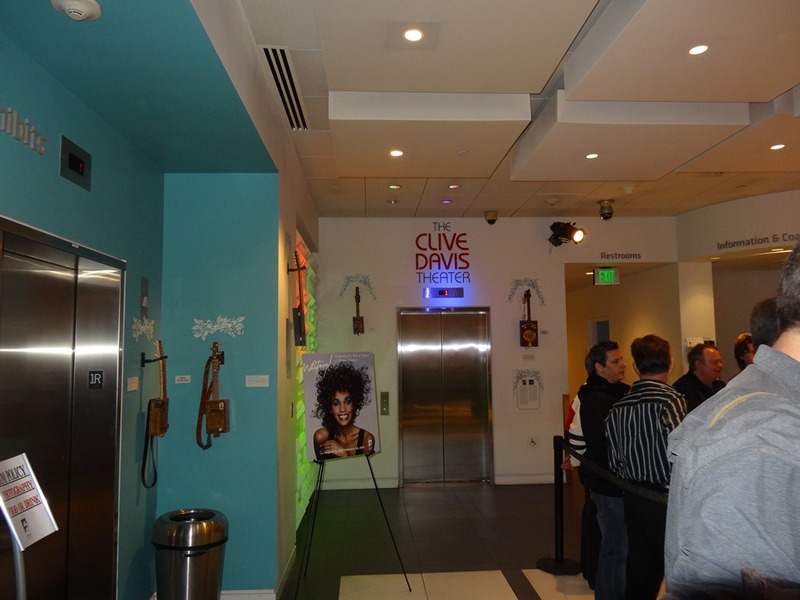 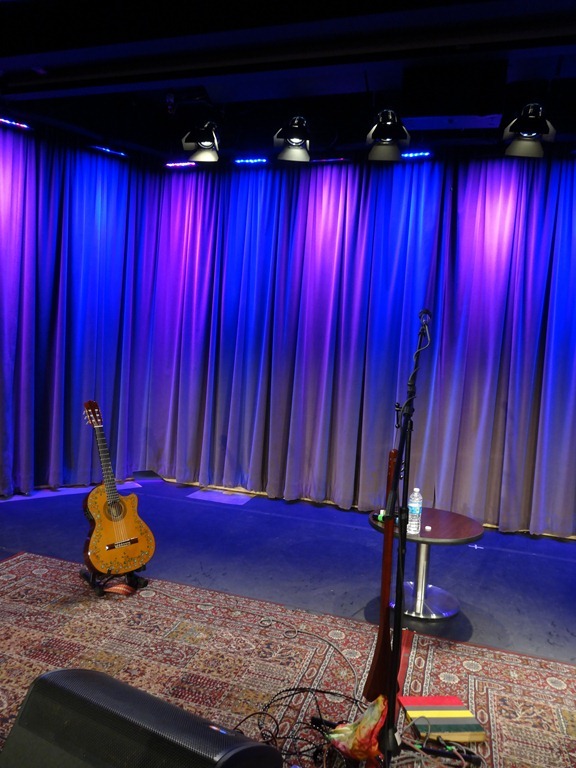 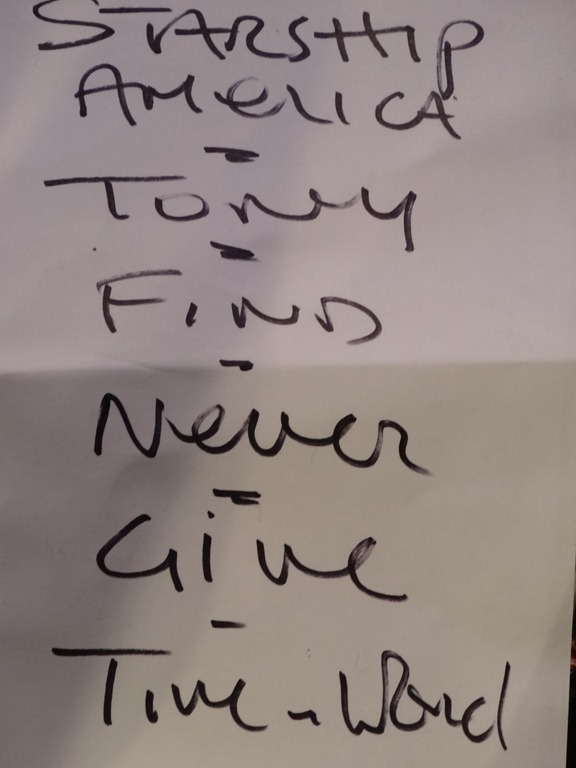 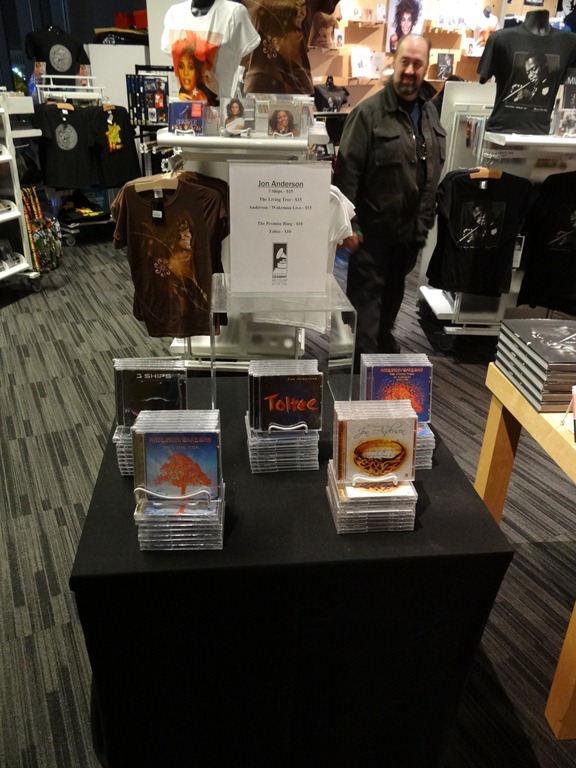 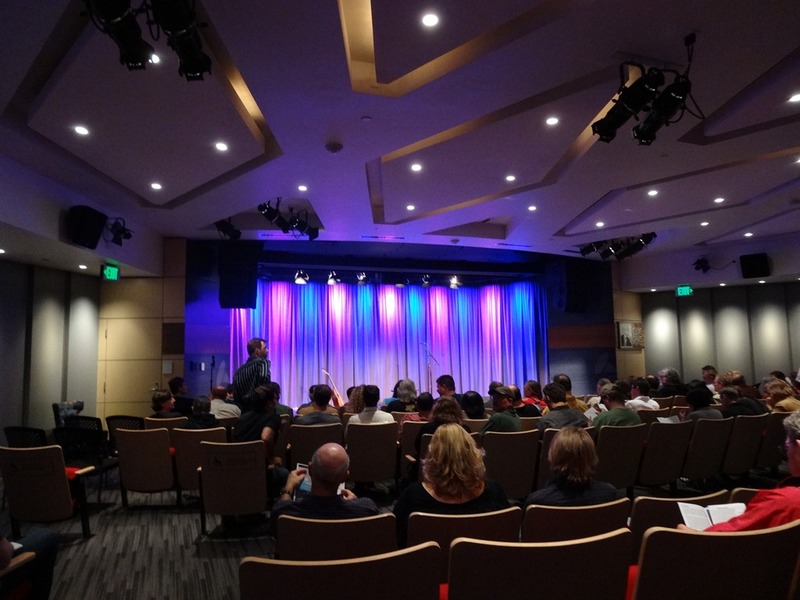 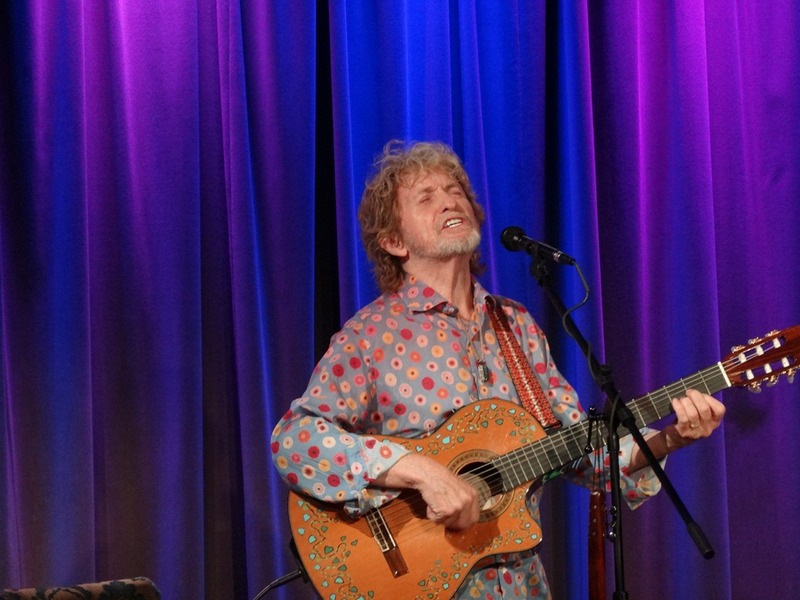 I was at the Grammy Museum box office last week getting ready to see Foreigner in their intimate Clive Davis Theater performance and remembered that Jon Anderson had an upcoming appearance. 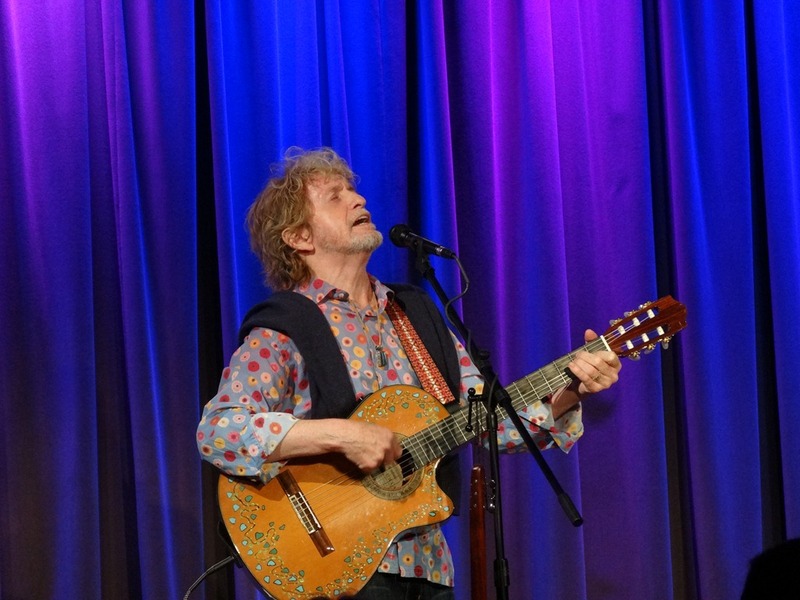 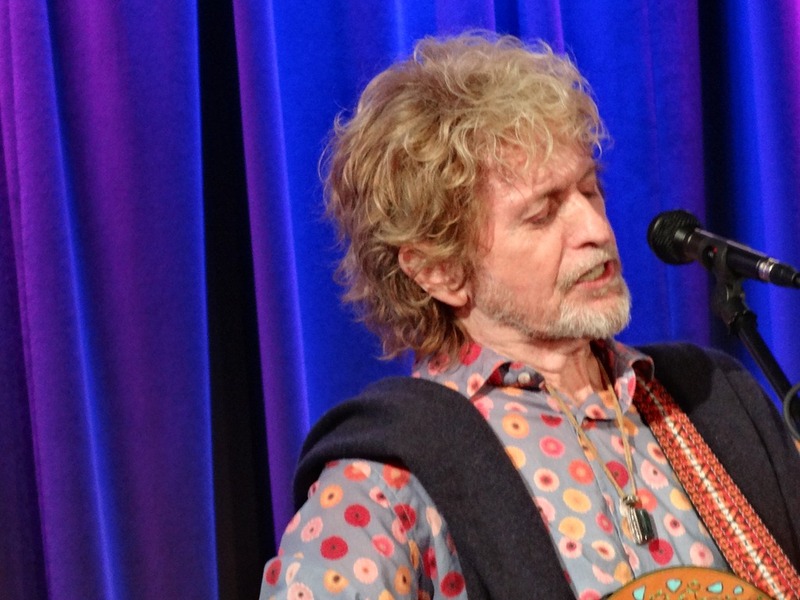 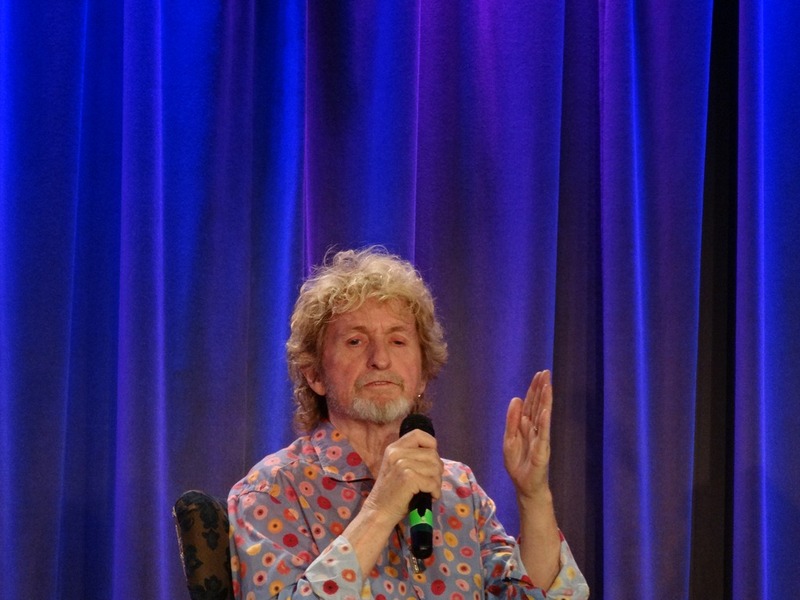 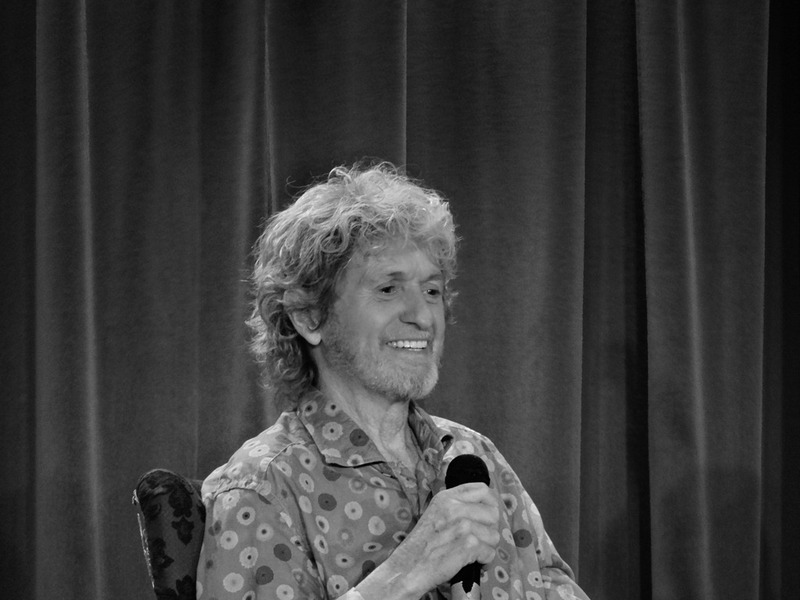 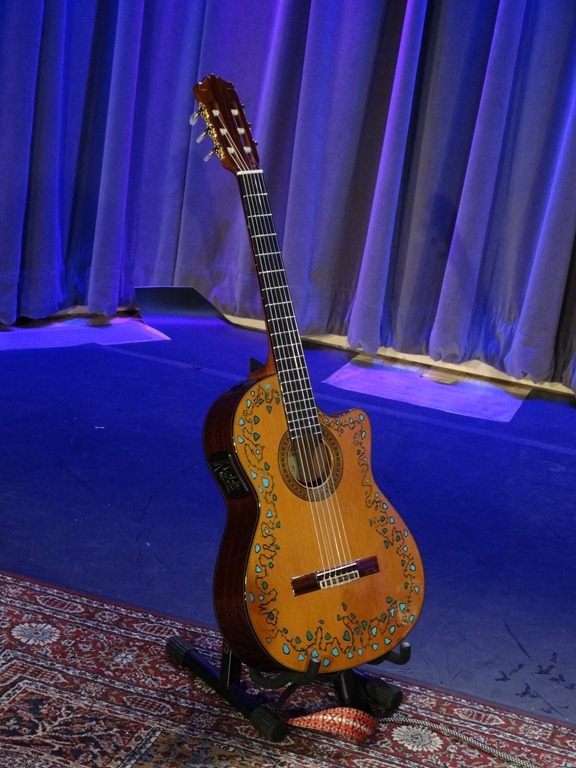 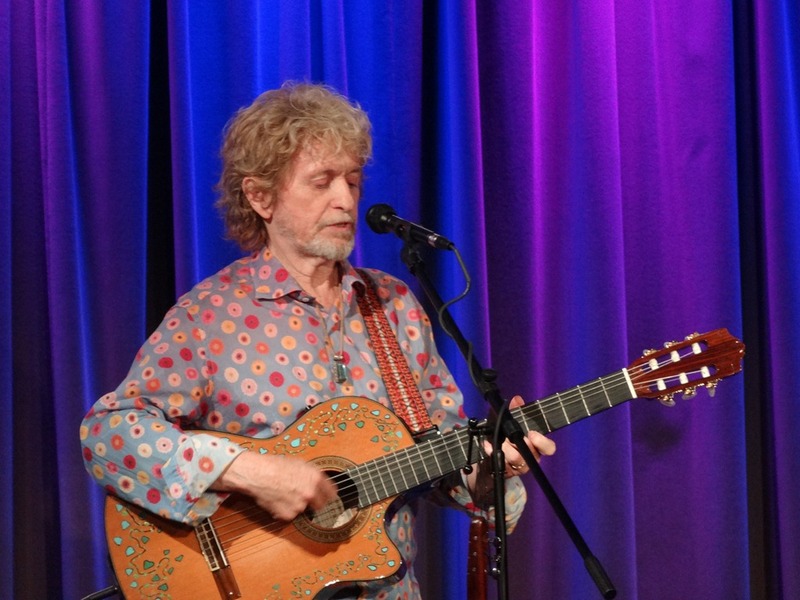 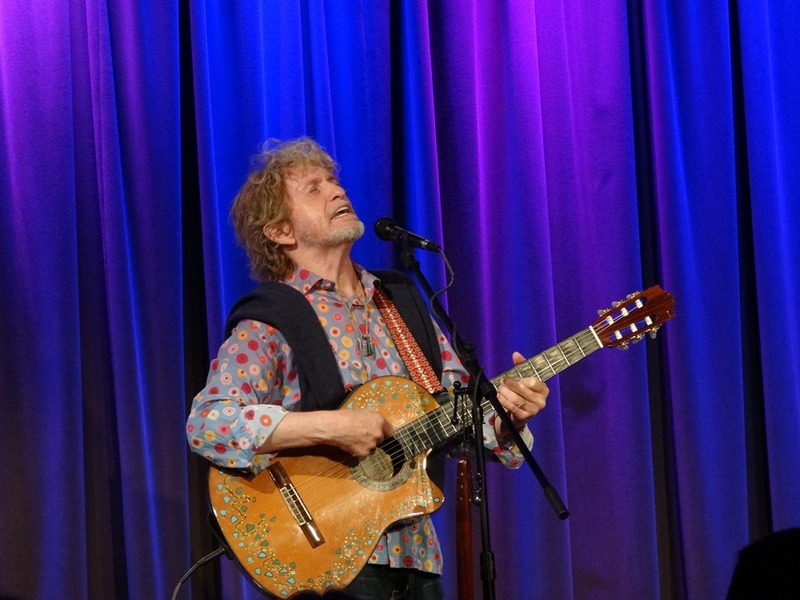 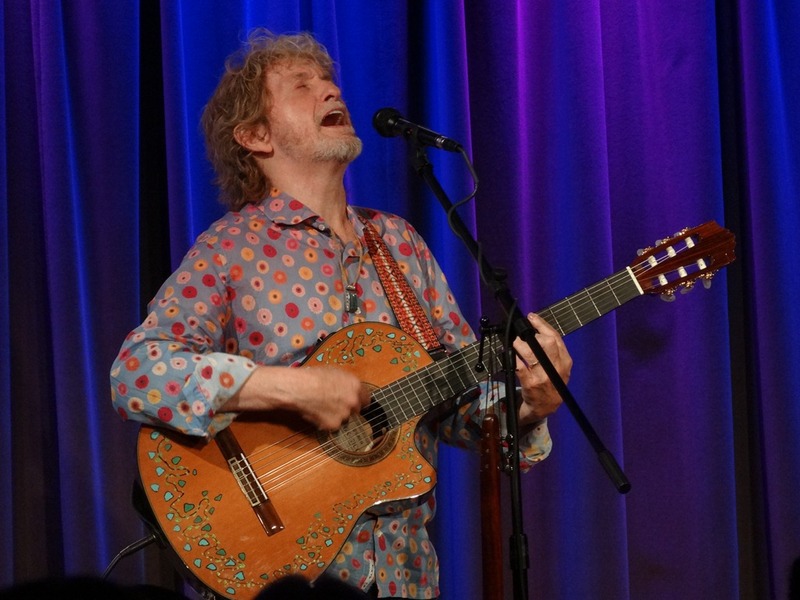 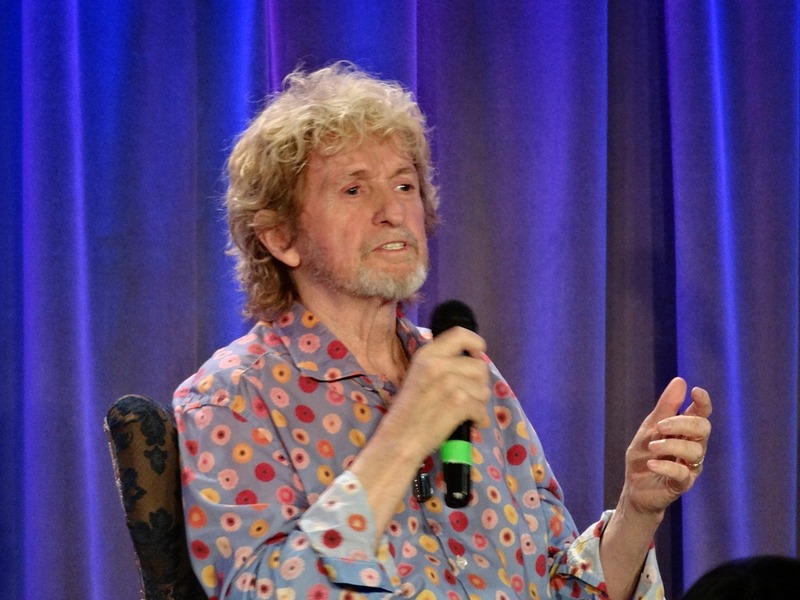 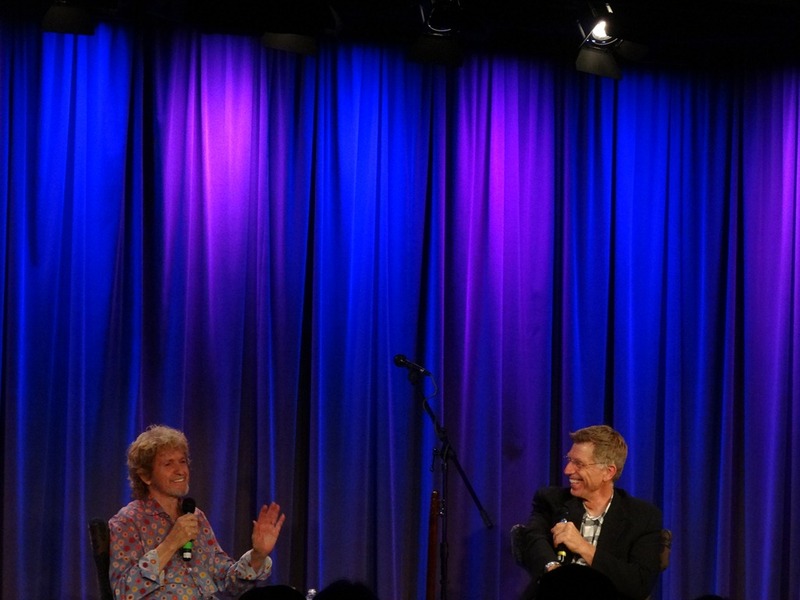 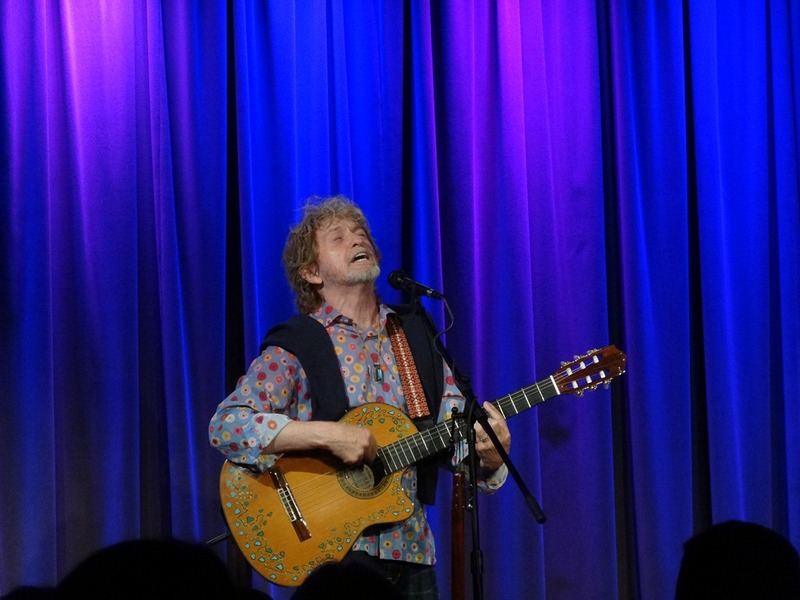 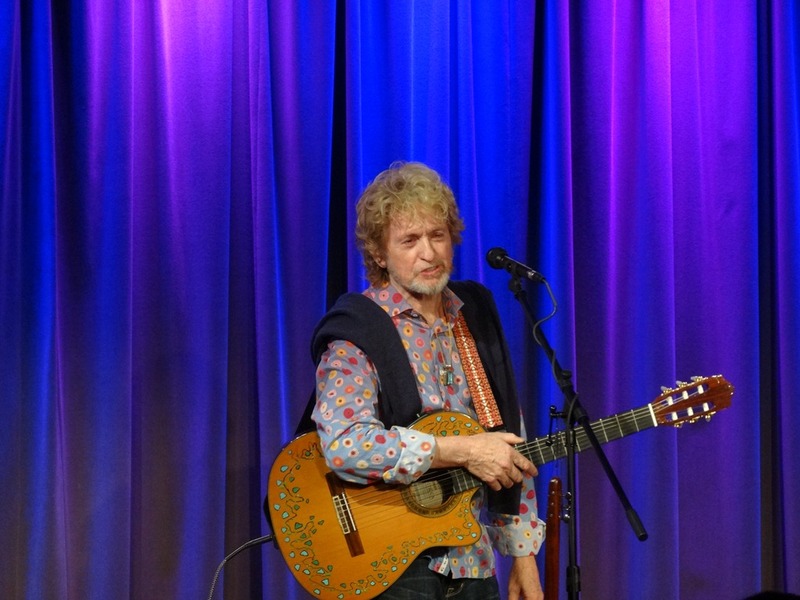 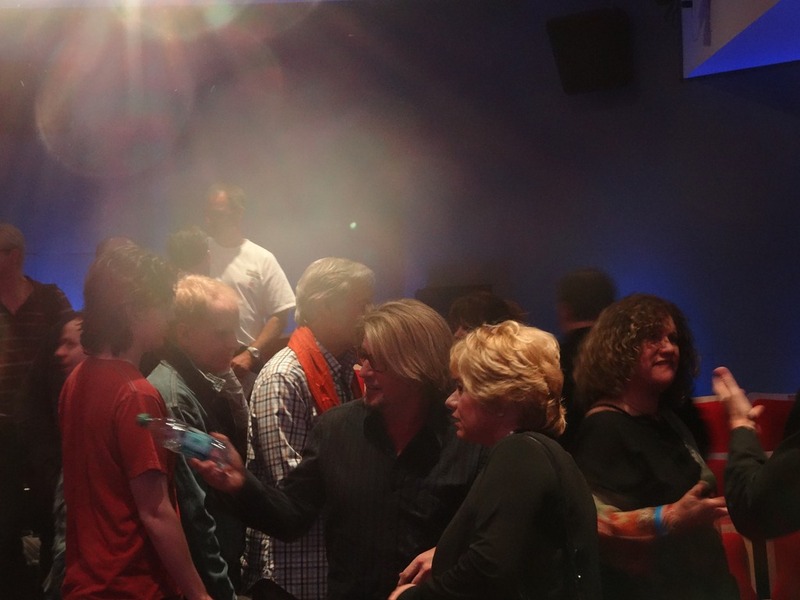 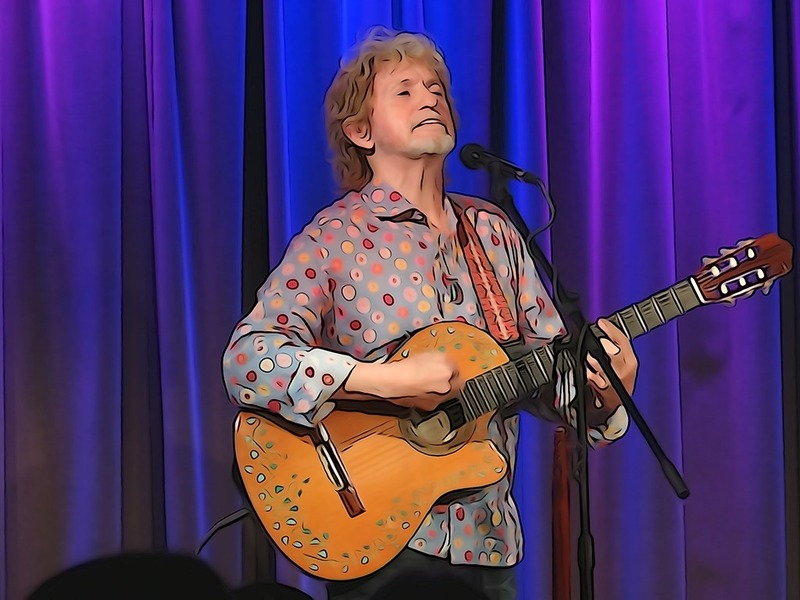 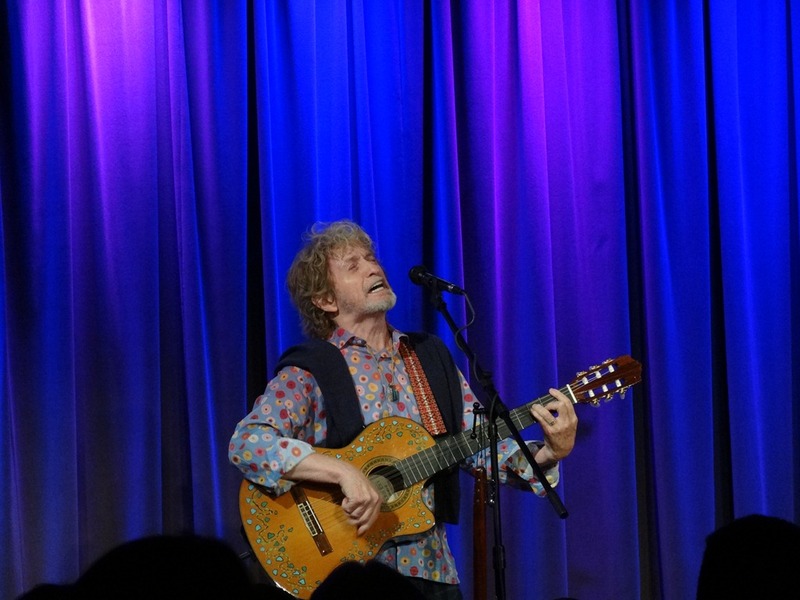 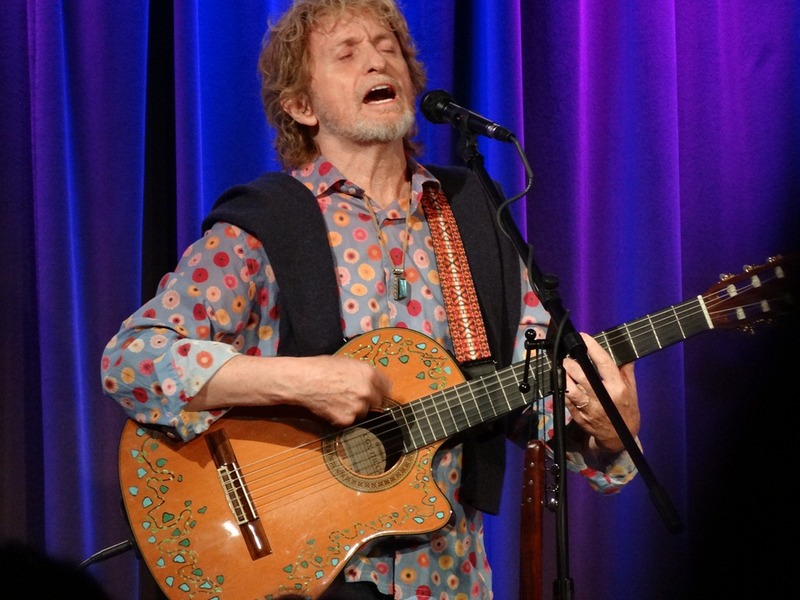 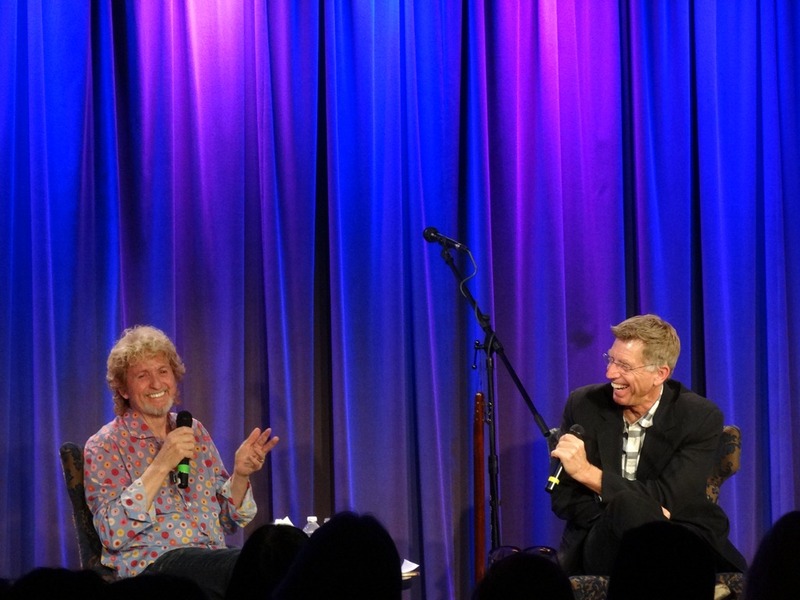 Jon Anderson has some great stories- he’s really seen and done a lifetime of cool stuff. 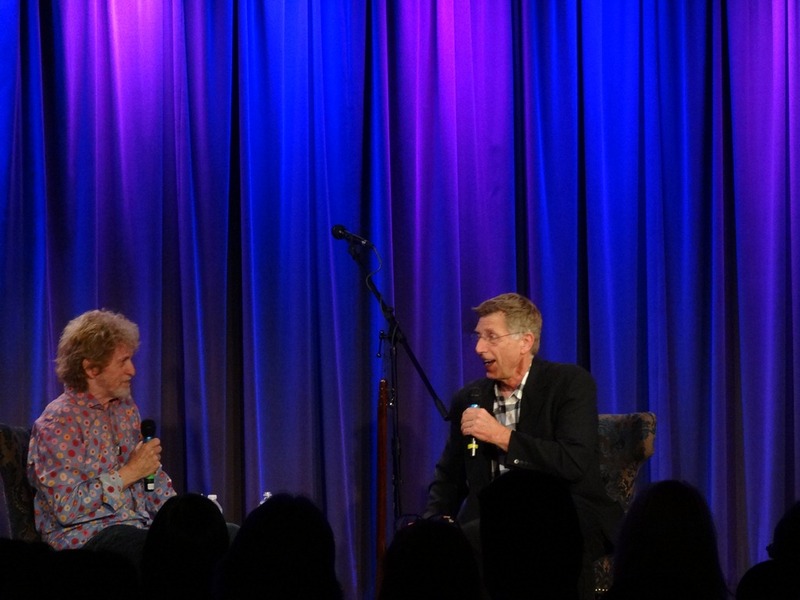 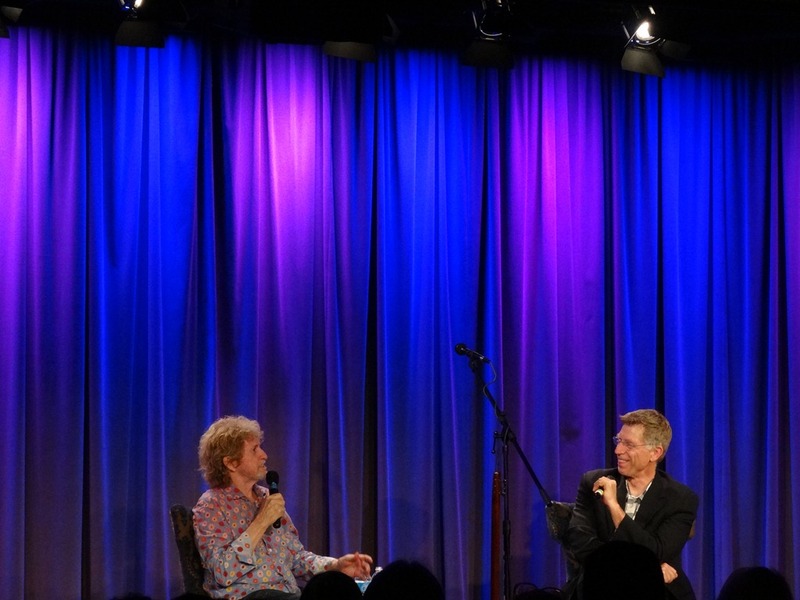 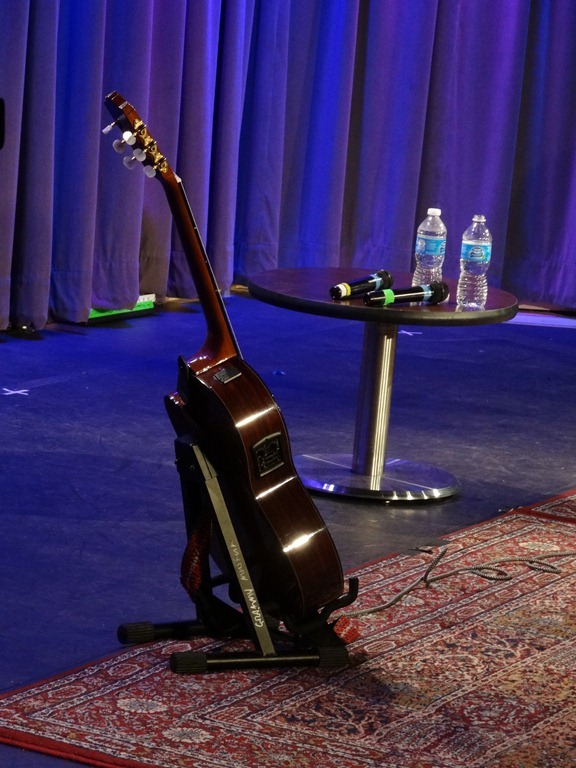 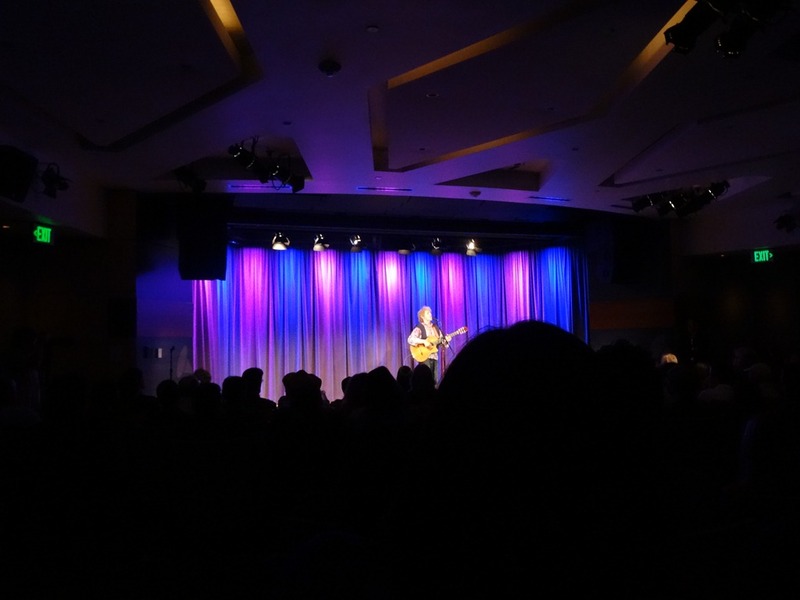 He was so engaging with his conversation between songs when he played earlier this year at the Canyon Club, that it was a no-brainer to go see a Q&A with him followed by some tunes. 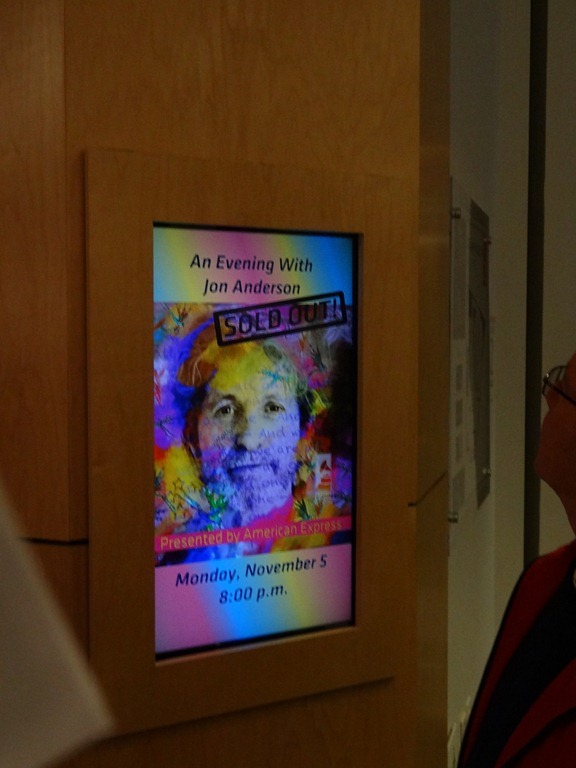 Not even knowing the date (thinking it was later this month of December), I went ahead and bought the ticket. 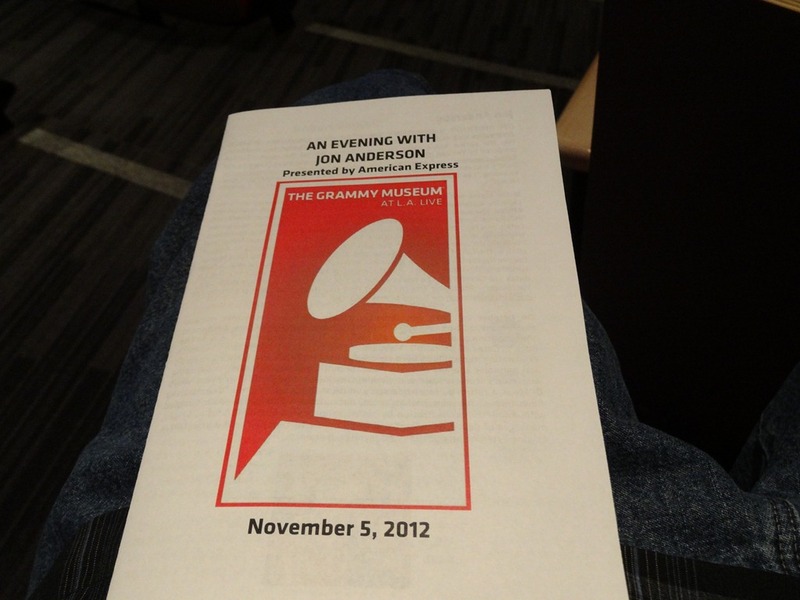 A little planning and six days later and I’m at the event. 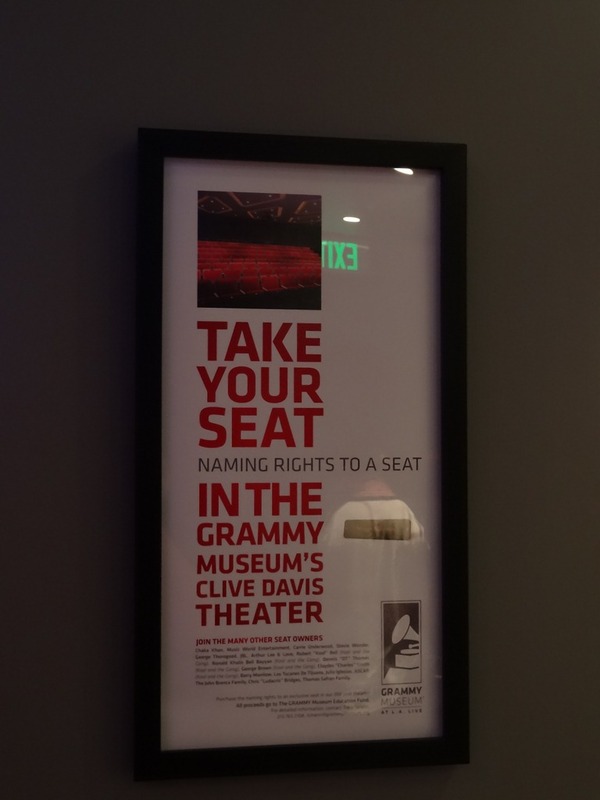 I’m glad I bought an advance seat- it was sold out before the day of the show. 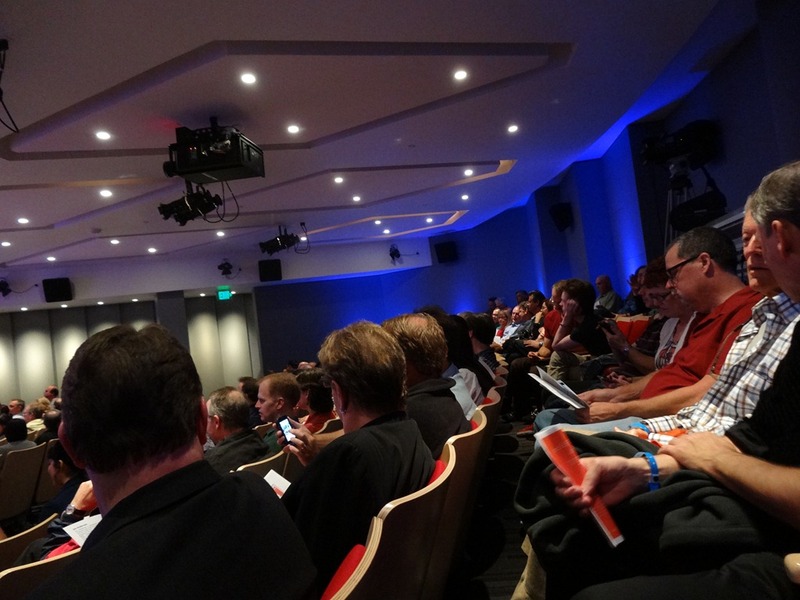 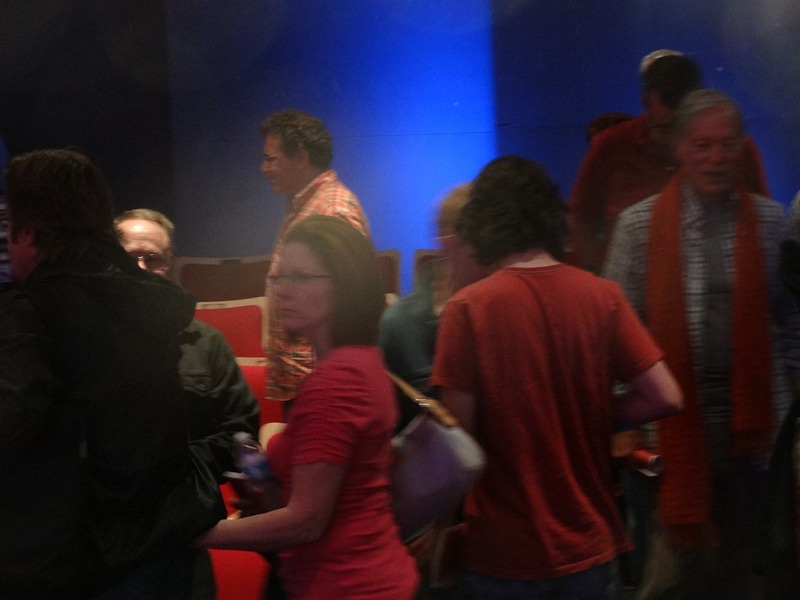 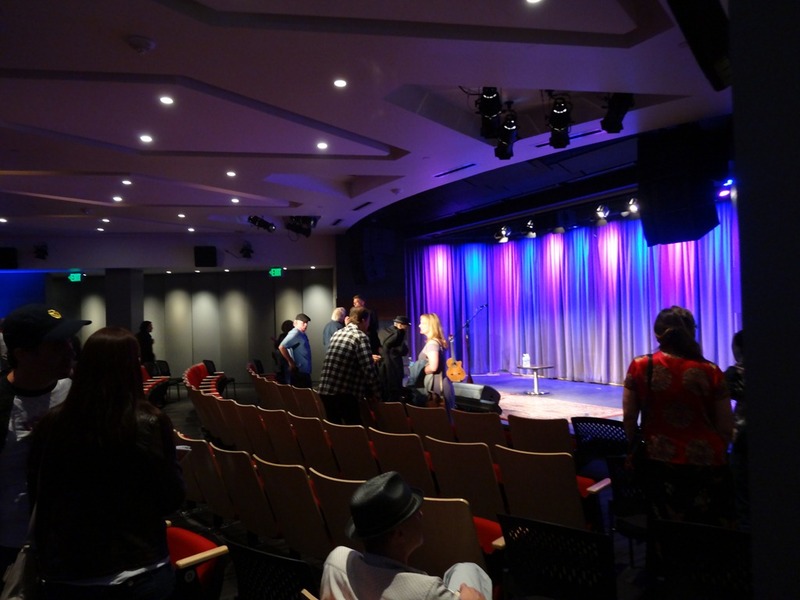 It was very crowded inside the little theater. 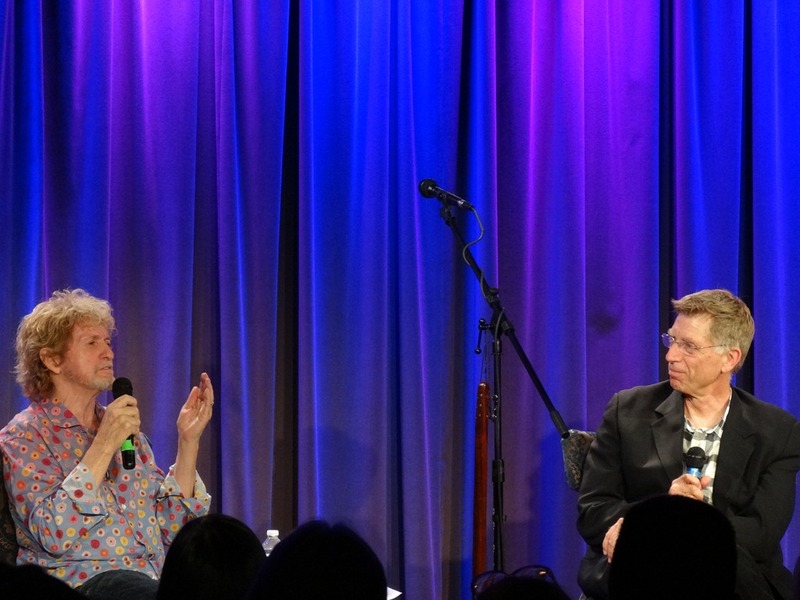 Richard Chamberlain sat a few seats down from me, which was kind of cool. 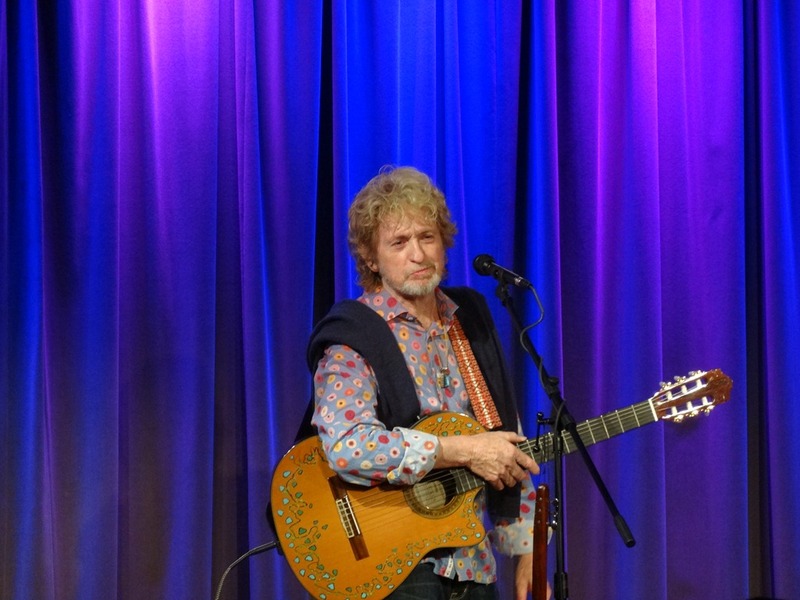 Jon came out and played a few tunes to get started, which is different from the normal format. 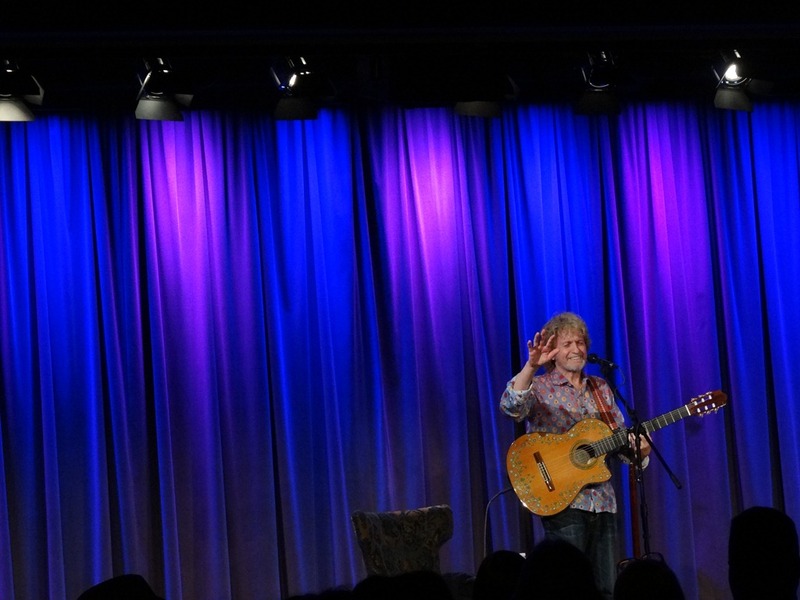 He said if he just got up there and talked, he probably couldn’t sing later on. 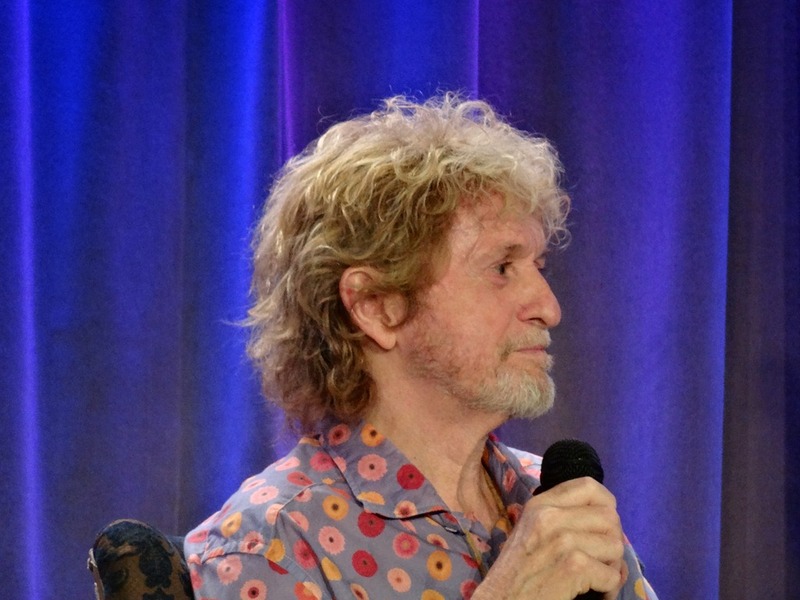 Like on his current tour, he had great stories about Joe Cocker, Robert Plant and tons of other musicians. 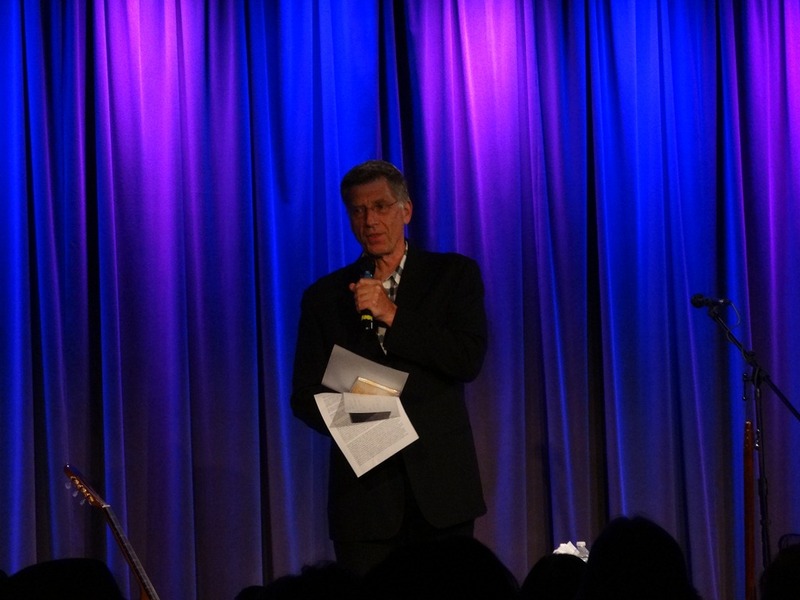 Bob Santelli did an excellent job interviewing Jon and keeping the conversation going. 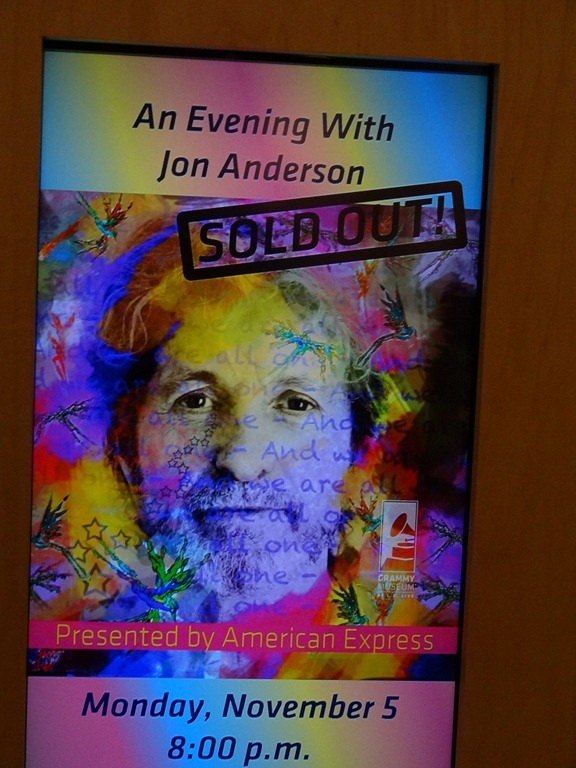 Jon’s stories were great and his songs were wonderful. 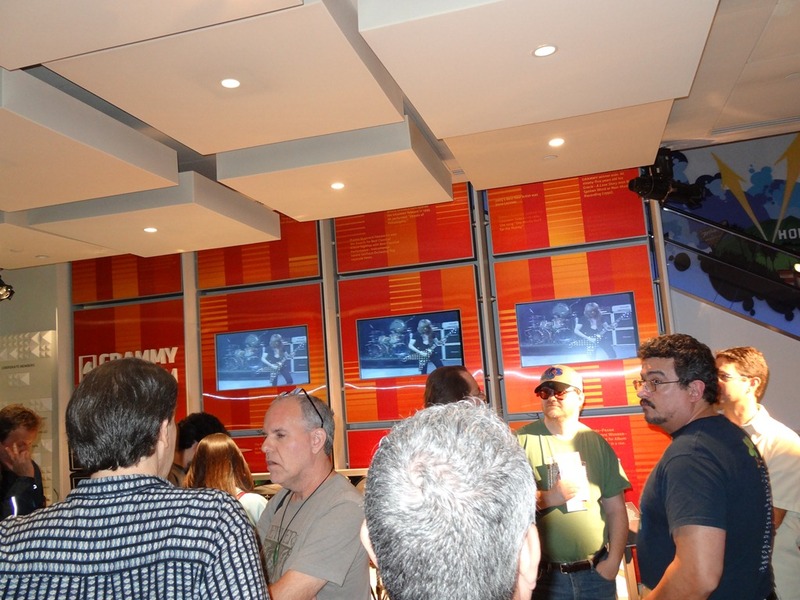 Previous Previous post: HOLLYWOOD BLVD.